This sheepfoot pocket knife is made from VG-10 stainless steel and fiberglass-reinforced nylon. The serrated blade is 3.125 inches and has a saber grind. VG-10 scales feature a non-slip waffle texture. 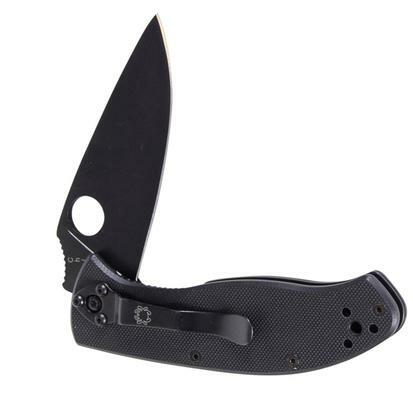 This knife is 4.093 inches closed and has a clip that can be configured 4 different ways. The overall length of this sheepfoot is 7.125 inches open. 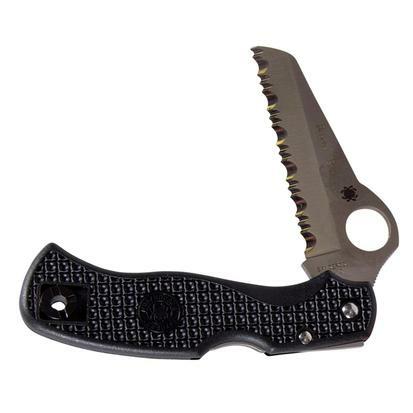 This pocket knife has fiberglass-reinforced nylon scales with non-slip waffle texture. The scales are high visibility orange. The blade is made from VG-10 stainless steel. This is a 3.093" serrated blade with a saber grind. It is 7.188 inches overall. The 4 way clip can be configured for either left handed or right handed carry. This sheepfoot pocket knife is 4.093" closed. 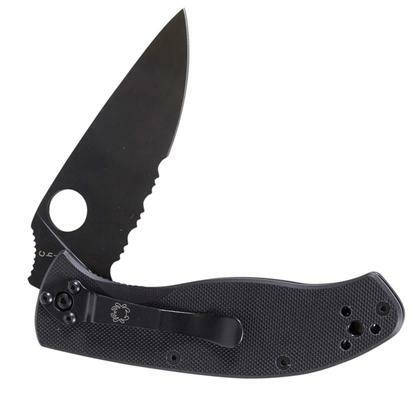 This folding knife features G-10 scales, 8Cr13MoV steel, skeletonized steel liner, and a 4 way clip. 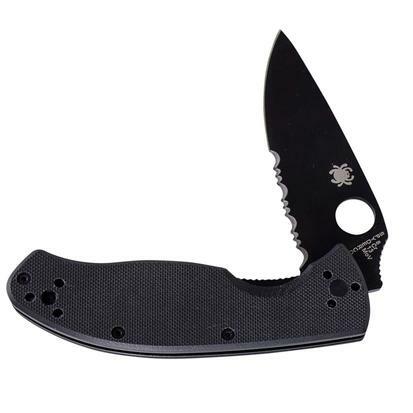 The 3.39 inch blade has a combination edge, a flat grind, and a flat non-reflective black finish. The clip can be configured in 4 different positions, which allows both lefties and righties to use this knife comfortably. G-10 scales are ergonomically designed. Closed this knife measures 4.45 inches closed. The stainless steel blade is 3.39 inches and has a straight edge, a flat grind, and a flat black non-reflective finish. 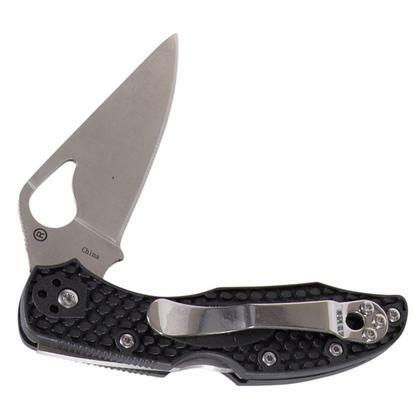 This folding knife features G-10 scales, 8Cr13MoV steel, skeletonized steel liner, and a 4 way clip. 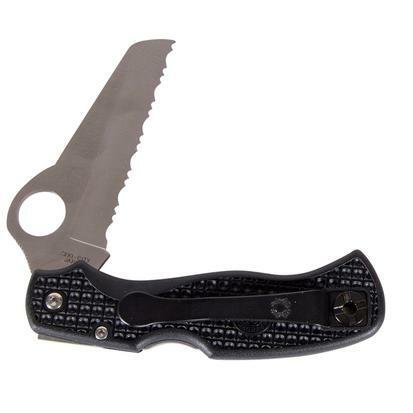 The 3.39 inch blade has a straight edge, a flat grind, and a flat non-reflective black finish. The clip can be configured in 4 different positions, which allows both lefties and righties to use this knife comfortably. G-10 scales are ergonomically designed. Closed this knife measures 4.45 inches closed. The stainless steel blade is 3.39 inches and has a straight edge, a flat grind, and a flat black non-reflective finish. 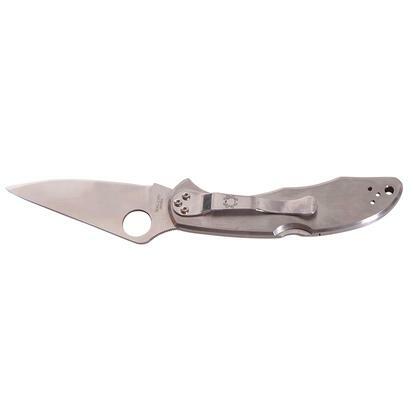 The Delica 4 has stainless steel scales and a VG-10 stainless steel blade. The improved ergonomics, thumb hole, and the spine jimping provide a stout knife that fits your hand. The knife is 4.20" closed, has a 2.95" blade, and is 7.15" overall. The 4 way clip can be configured in 4 different positions, which allows both lefties and righties to use this knife comfortably. 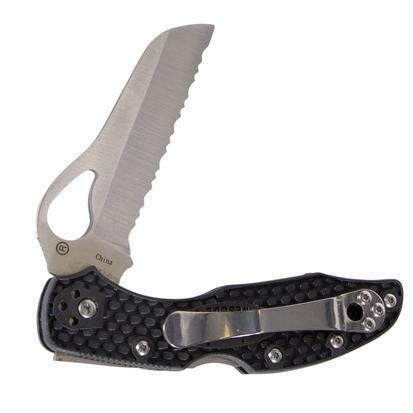 The serrated edge stainless steel blade is made from VG-10 steel and has a hollow grind. 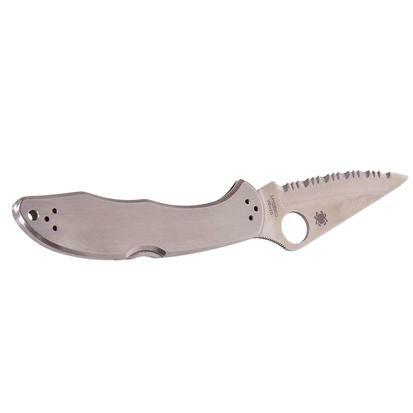 The Delica 4 has stainless steel scales and a VG-10 stainless steel blade. The improved ergonomics, thumb hole, and the spine jimping provide a stout knife that fits your hand. The knife is 4.20" closed, has a 2.95" blade, and is 7.15" overall. The 4 way clip can be configured in 4 different positions, which allows both lefties and righties to use this knife comfortably. 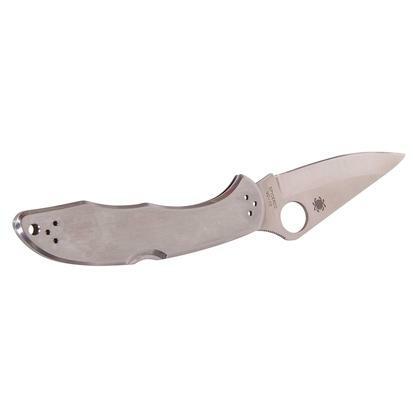 The combination edge stainless steel blade is made from VG-10 steel and has a hollow grind. 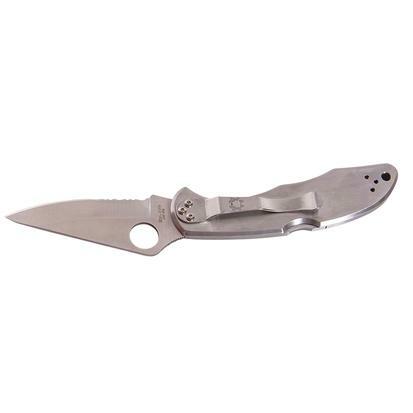 The Delica 4 has stainless steel scales and a VG-10 stainless steel blade. The improved ergonomics, thumb hole, and the spine jimping provide a stout knife that fits your hand. The knife is 4.20" closed, has a 2.95" blade, and is 7.15" overall. The 4 way clip can be configured in 4 different positions, which allows both lefties and righties to use this knife comfortably. The straight edge stainless steel blade is made from VG-10 steel and has a hollow grind. has a hollow grind. Made by Spyderco. 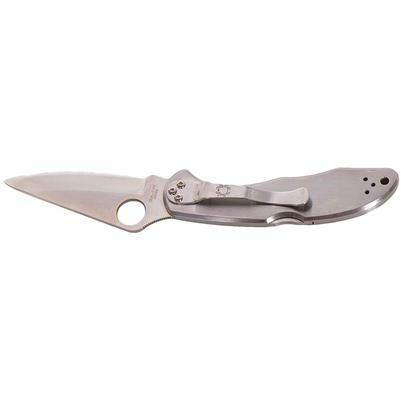 This folding knife is ideal for both left handers and right handers, because the clip can be configured into 4 different positions. 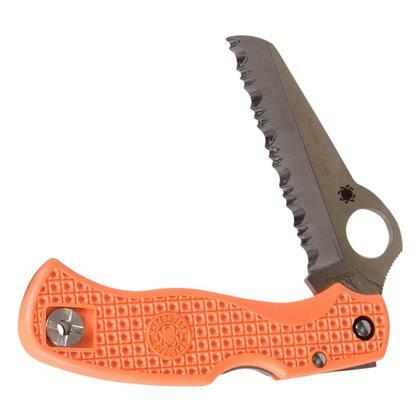 It’s a 3.05 inch sheepfoot blade that is fully serrated and is flat ground. 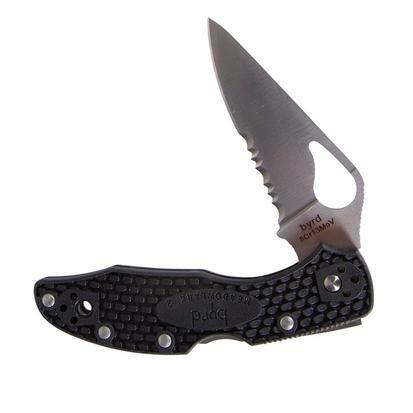 This pocket knife features a stainless steel skeletonized liner and a lock back mechanism. It’s 7 inches overall when open and 3.95 inches when closed. The scales are made from texturized nylon that is fiberglass-reinforced. 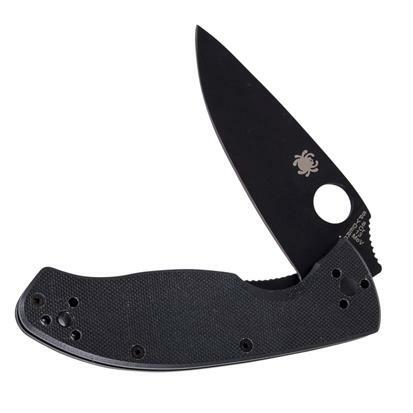 Made by Spyderco. The Byrd Meadowlark 2 has fiberglass-reinforced nylon scales with bi-directional texture. 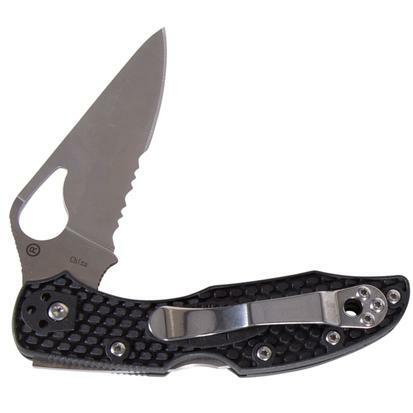 This folding pocket knife has a clip that can be used in 4 different positions. The blade is full flat ground, the spine has jimping, and the choil also has jimping. 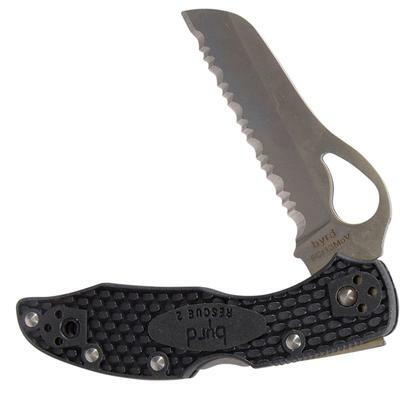 This knife is 4.031" closed, has a 2.875" blade, and is 6.812" overall. The washers and pivots are made of phosphor bronze. The Byrd Meadowlark 2 is a lock back pocket knife that is ideal for an everyday carry. The Byrd Meadowlark 2 has fiberglass-reinforced nylon scales with bi-directional texture. 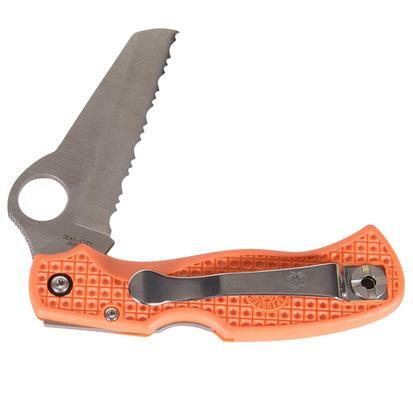 This folding pocket knife has a clip that can be used in 4 different positions. The blade is full flat ground, the spine has jimping, and the choil also has jimping. This knife is 4.031" closed, has a 2.875" blade, and is 6.812" overall. The washers are pivots and are made of phosphor bronze. The Byrd Meadowlark 2 is a lock back pocket knife that is ideal for an everyday carry.